In an effort to find something practical, safe and fuel sipping but stylish enough to look good in our driveways and avenues more of us than ever before are opting for SUVs. In fact for the first time an SUV, Hyundai’s Tucson was the bestselling car in Ireland in 2016. But with summer around the corner and long family days out, it’s now that the humble and too often over looked estate car comes into its own. No longer the preserve of antique dealers, builders and gardeners, the modern estate car is spacious, comfortable and well-equipped so why are we so reluctant to consider opting for one as our family car? Even car makers avoid the E word giving them names like, “sportswagon”, “combi” or “touring” to convey the promise of open road adventures like a leisurely cruise in the mountains in sunny settings whereas the term “estate” is left to evoke mundane weekend trips to the caravan park or worse still, the dump. The E Class is one of the best cars Mercedes have produced for a very long time. Launched last year the 10th generation E-Class stepped up a gear and finally emerged from the shadows of its talented siblings. 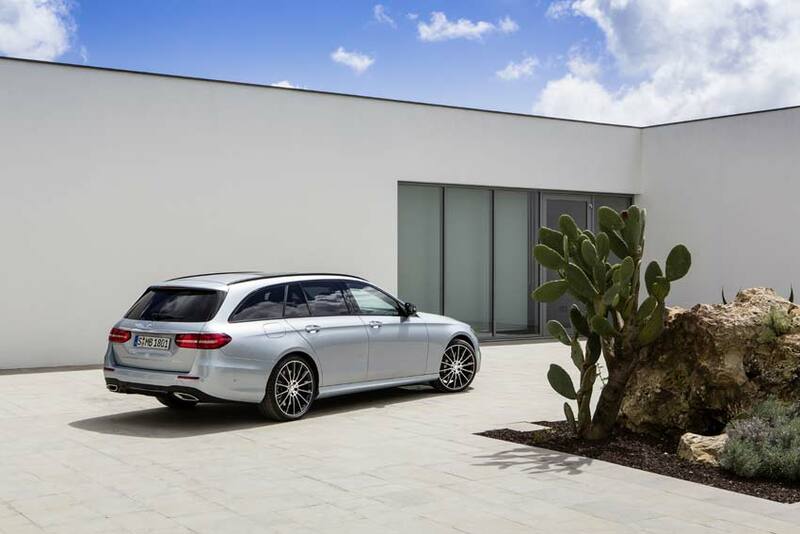 So it comes as no surprise that the estate version of the E Class is just as impressive. Inside it shares the same tasteful interior of the saloon and looks and feels expensive and while modern it still nods to the marque’s heritage. The centre console is elegant and well positioned, making the cabin feel spacious. There is also heaps of storage and nice tactile materials. 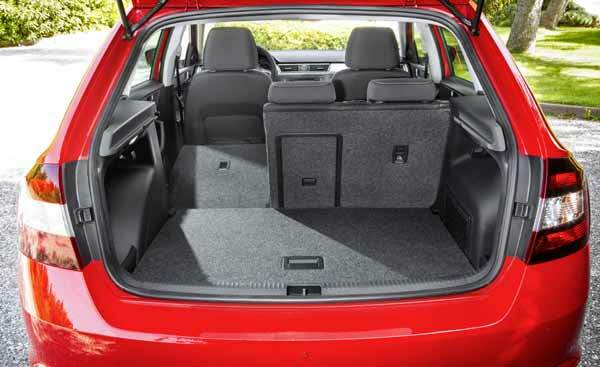 The boot space is 640 litres but fold the seats down and it becomes an enormous load space of 1820 litres and despite the sloping roof line, headroom and elbowroom are excellent throughout. Our test car was the E 220 d 220 D 5DR Auto which features the newly developed four-cylinder diesel engine and it is quieter, more powerful and more efficient that the 2.1 litre engine it replaced. The downsides are as you’d expect: all of this luxury doesn’t come cheap. Our test car cost €77,434. But after 10pc promotional discount, it came to €69,961. 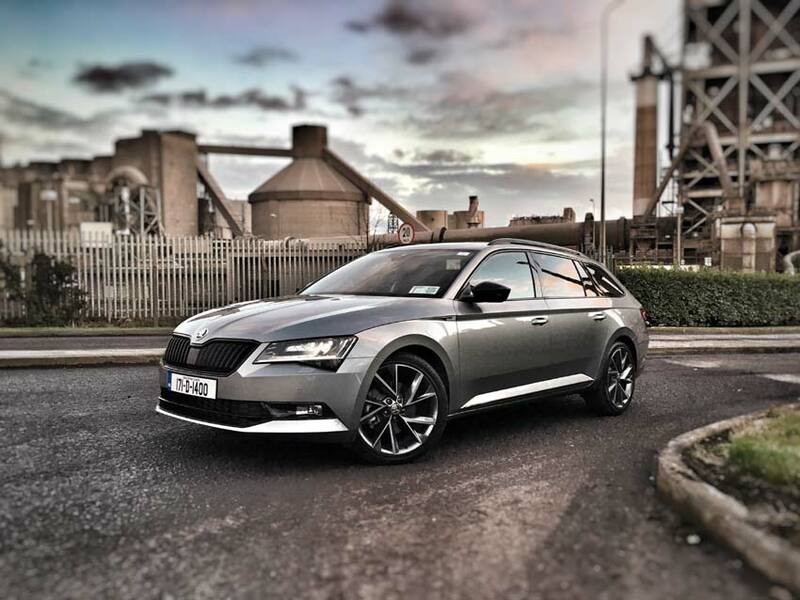 If your budget doesn’t quite stretch to the 70k mark the Skoda Superb Estate is one of the best cars for swallowing flat-pack furniture or luggage. Not only is it incredibly spacious, it looks smart and is comfortable and refined on the road. Inside the interior finish and the quality of materials reflect a higher price tag and standard on our test car was Bi-Xenon head lamps & headlamp washers, Bolero 8” colour touch screen radio, Smartlink – Mirroring of phone apps on screen, Sporty black front grille and darkened fog lamps and a very handy addition, even in June, of an umbrella in each of the front doors. The Superb is simply huge inside and practicality is key; the 660 litre boot can more than cope with anything a family can throw at it but if you do need larger space fold down the seats and it extends to a mammoth 1,950 litres. With space that big who needs a holiday home? You could simply move in there and save yourself the journey. Our 190bhp 2.0-litre diesel offers a great balance of economy and performance and returns 5.4 litres per 100 with 120g/km of Co2 so annual road tax is €200. Estates may not be a cool car choice, but don’t knock it until you’ve tried it, the E-Class Estates is about as luxurious as load lugging gets while the Skoda Superb is probably the best value large family car on the market. So while SUVs and crossovers have captured the attention of many buyers the next time you try shoehorning your luggage and family essentials into the boot, roof rack and trailer spare a thought for the humble estate car. 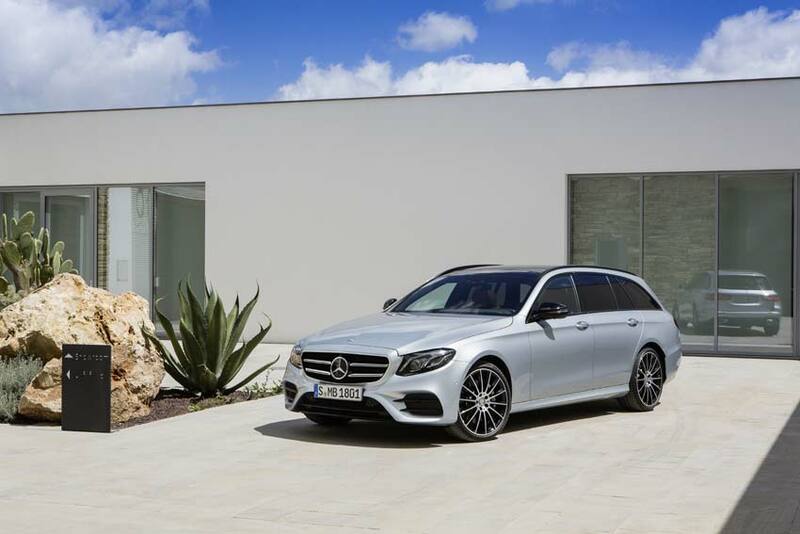 For more information on the E Class estate check out Mercedes-Benz.ie, the Mercedes Benz facebook page or follow them on twitter or on the Superb check out Skoda.ie, the Skoda Facebook page or follow them on twitter here.